You can use any name repeatedly. Use this to hide tasks that you are not going to use soon. This will help you to relieve the lists of redundant information. 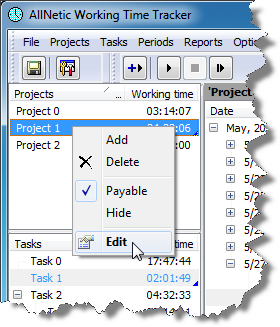 You can display hidden tasks at any time using Show hidden projects and tasks mode. Payable task. Check this if you are payed for this project/task. 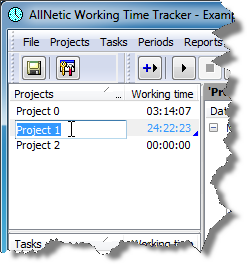 The total task time consists of time spent for the task itself and for all subtasks. 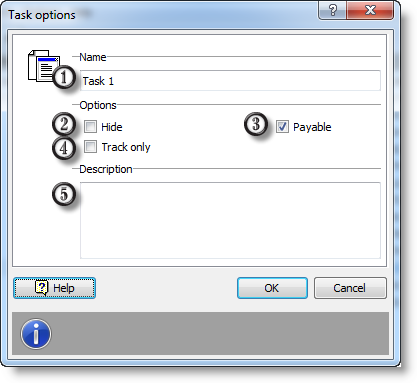 Tasks with Track only option on are not included. Any notes you wish to add. 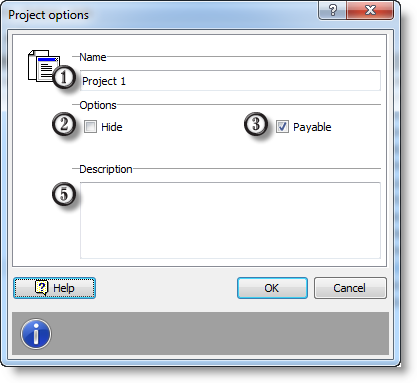 Note: Press F2 to rename selected project or task.